New President-Elect of FAOBMB, Professor Akira Kikuchi, will take office as of 1 January 2019. Akira Kikuchi was born in 1956 in Japan. In 1982, he graduated from Kobe University, School of Medicine (Kobe, Japan) (M.D.) and started his initial clinical training as a physician in Kobe University Hospital and Sumitomo Hospital (Osaka, Japan). During clinical training, he also studied biochemistry as a post-graduate student in the Graduate School of Medicine, Kobe University. There, his research clarified the physiological significance of multiplicity of small GTP-binding proteins (G proteins). He purified and characterized many small G proteins, and then determined their cDNA sequence. In 1989 he received his Ph.D. in Biochemistry at Kobe University, and he became an Assistant Professor at Department of Biochemistry, Graduate School of Medicine, Kobe University (Professor Yoshimi Takai’s lab). He continued small G protein studies and discovered new types regulators of small G proteins. In 1992 he became a visiting researcher in Cardiovascular Research Institute, University of California San Francisco (Professor Lewis T. Williams’s lab), and explored downstream molecules of Ras, a physiologically and pathologically important small G protein. He identified Ral GDS as a Ras effector protein. Ral GDS is now recognized as an important Ras downstream molecule as well as Raf and PI3-kinase. In 1994 he was promoted to full professorship at Department of Biochemistry, Hiroshima University School of Medicine (Hiroshima, Japan). After he became independent, he started a new project concerning Wnt signaling. He identified the b-catenin degradation system in the Axin complex using a biochemical method and contributed to the understanding of the mechanism of Wnt signaling. In 2009 he moved to Department of Biochemistry and Molecular Biology, Graduate School of Medicine, Osaka University (Suita, Japan) and is currently serving as Vice Dean of Graduate School of Medicine (2013-present). His lab is studying the underlying mechanism by which Wnt and other growth factor signaling co-operatively regulate epithelial morphogenesis using various kinds of technology including biochemical, cell biological, pathological, organoid, and genetic approaches. His lab is also developing new anti-cancer drugs and new liquid biomarkers based on molecules discovered by him, which are involved in epithelial morphogenesis. He has published about 250 papers, which have been cited more than 18,000 times. 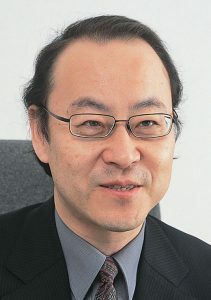 Akira Kikuchi is currently serving as a Director of both The Japanese Biochemical Society and The Molecular Biology Society of Japan. He served as the President of The Annual Meeting of the Japanese Biochemical Society 2018. He is a Chairman (2017-present) and Executive Secretary (2014-2017) in IUBMB Subcommittee of the Science Council of Japan. He was a plenary speaker in 15th FAOBMB and 24th IUBMB Congress, Korea (4-8 June, 2018) and an invited speaker in 16th IUBMB Conference, Canada (17-21, July, 2016) and 18th IUBMB Congress, UK (16-20 July, 2000). Professor Akira Kikuchi will take up his position as President-Elect of FAOBMB as from 1 January 2019.